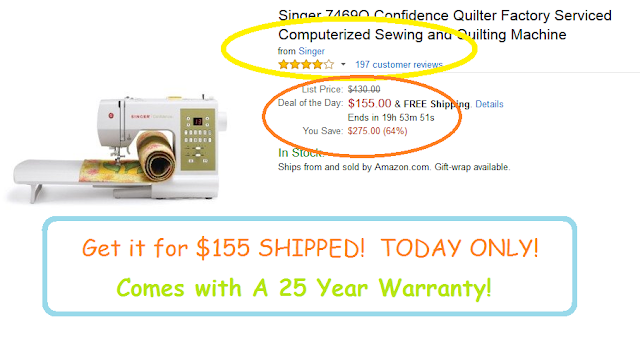 This highly rated sewing machine retails for $430, but the price normally hoovers around $250 on Amazon. Today's price is the LOWEST it has EVER been BY FAR :) This is a factory refurbished model but it comes with a NEW 25 YEAR warranty! You can't go wrong!